David went on to work in the non-profit and corporate sectors before becoming an educator. 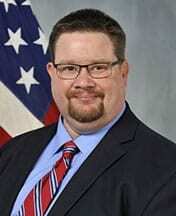 He served as a social studies teacher in both Florida and Georgia before becoming an administrator for the Department of Defense Education Activity (DoDEA). While with DoDEA, he served both stateside and overseas including two years in Naples, Italy. Most notably, he opened a brand new 21st Century elementary school at Ft. Campbell, Kentucky in 2016. David also carried with him the advice he got working at Bart’s office and went on to earn his Master’s degree in Educational Leadership, his Educational Specialist’s degree in Curriculum and Instruction, and his Doctorate degree in Educational Leadership.